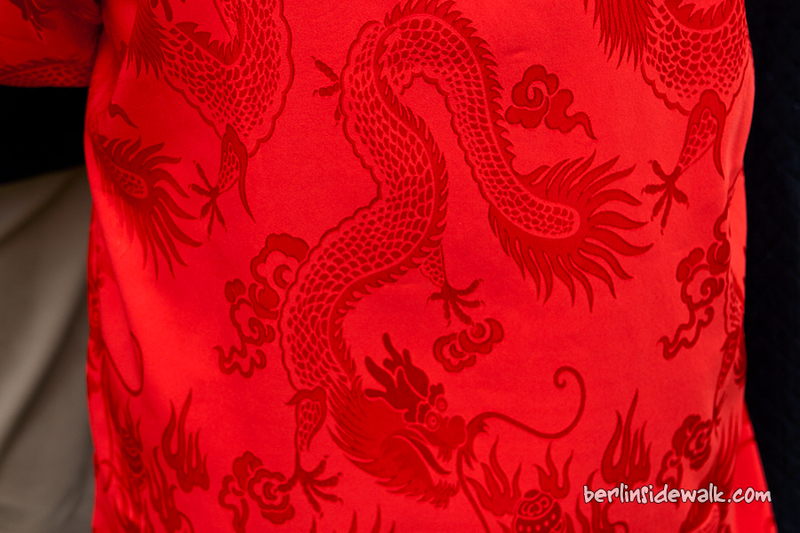 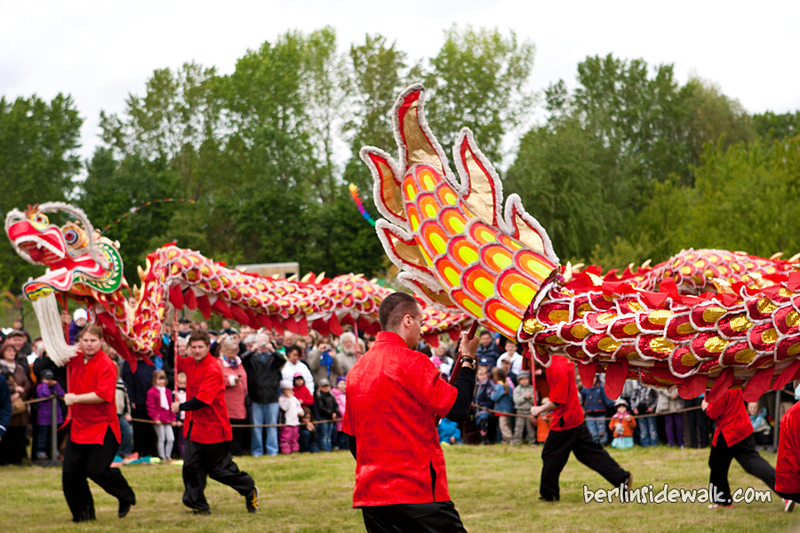 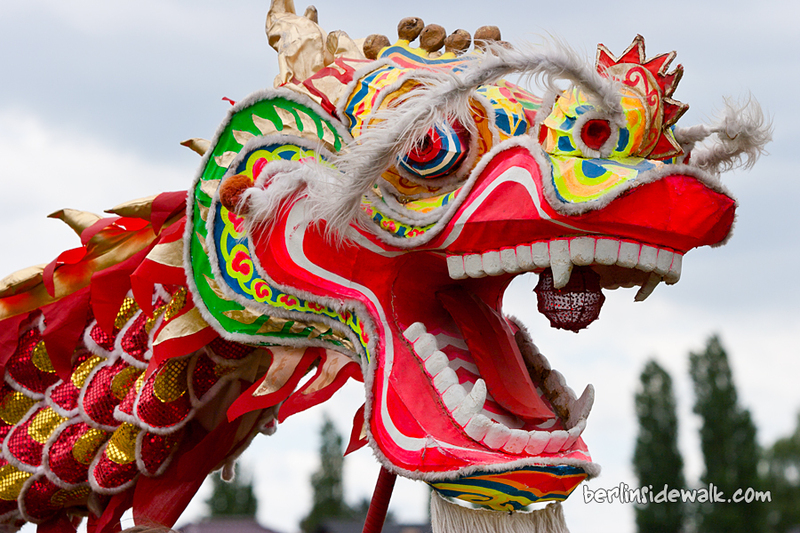 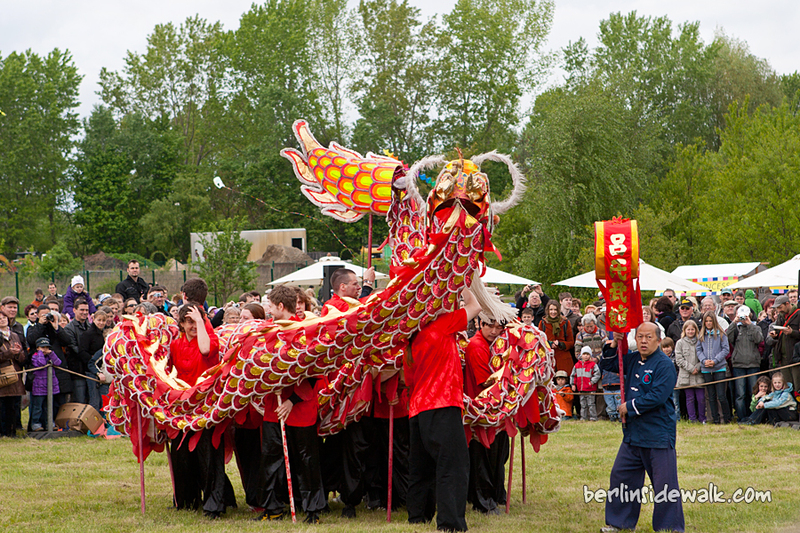 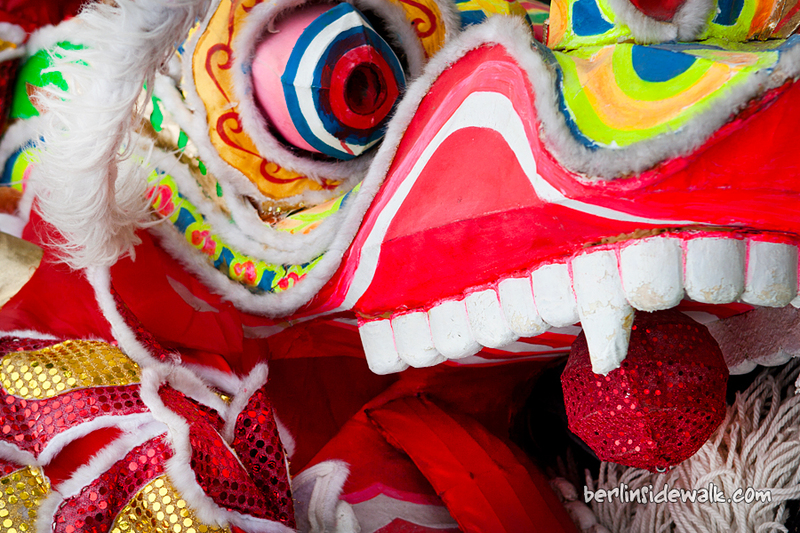 And again I visited Berlin’s Gardens of the World because last weekend they celebrated the “Asian Dragon Festival”. 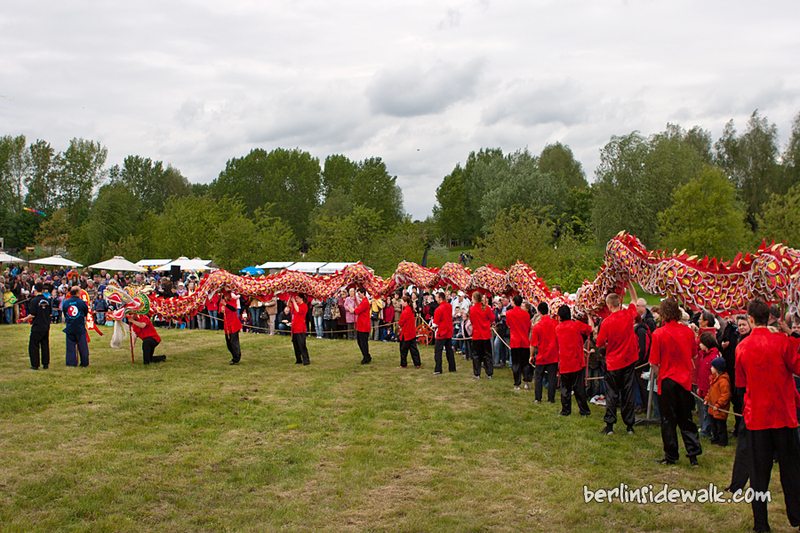 It was quite interesting to see an original Chinese dragon carried by 15 helpers performing different figures. 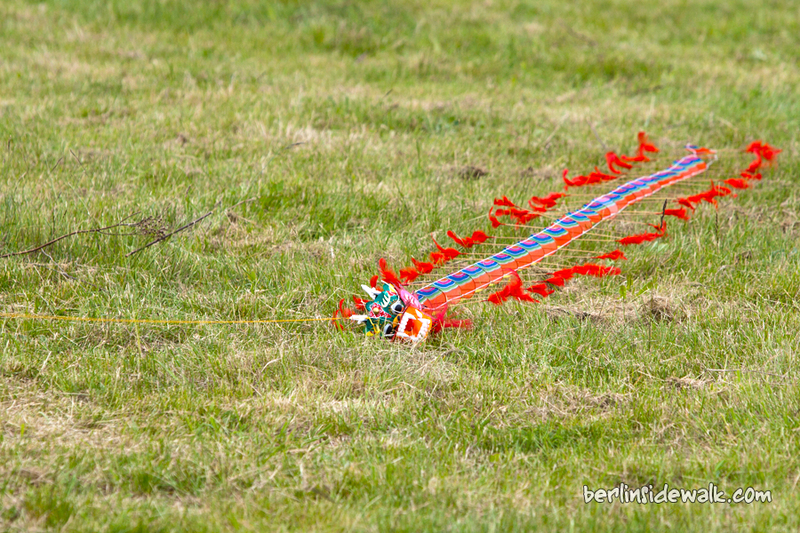 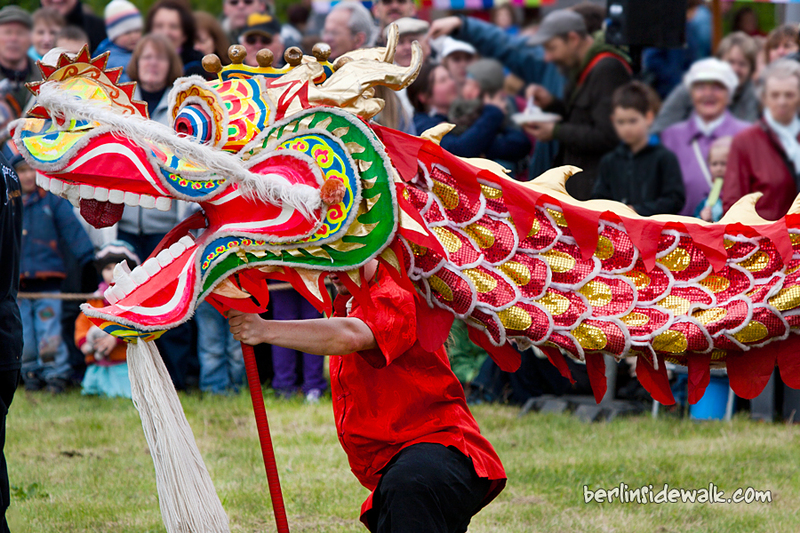 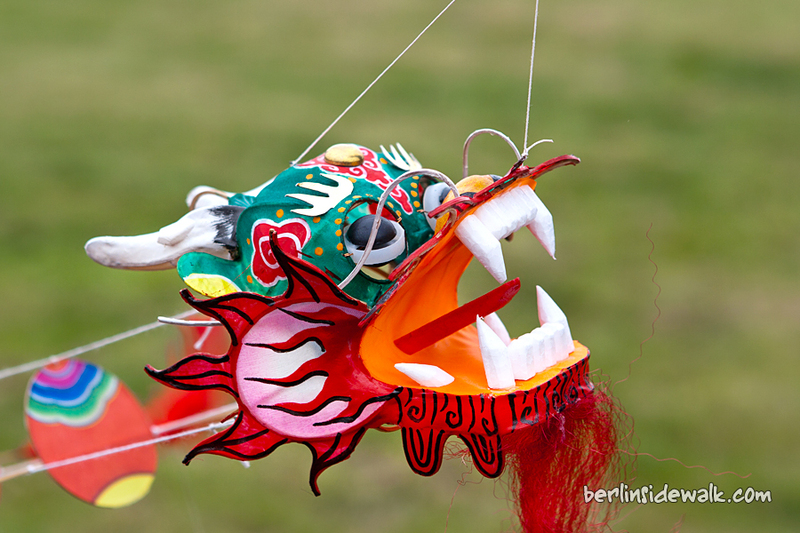 They also demonstrate a Chinese dragon kite, but only a small version of the normally 80meters long monsters. 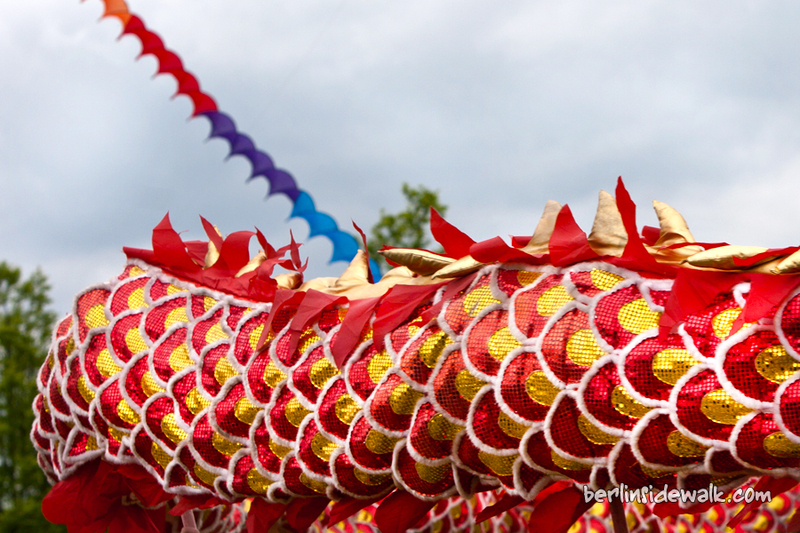 The dragons are seen as wise, benevolent and bringers of good fortune. 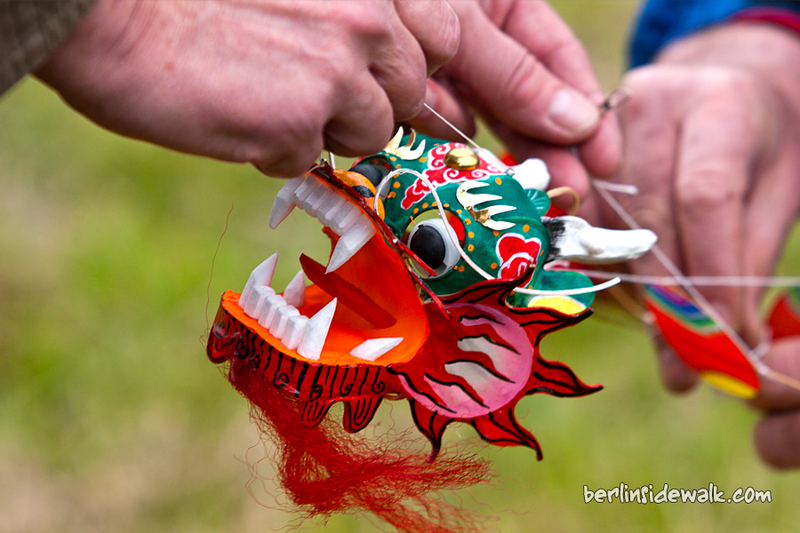 The heads are all individually hand painted, each one is unique with its own “character”.